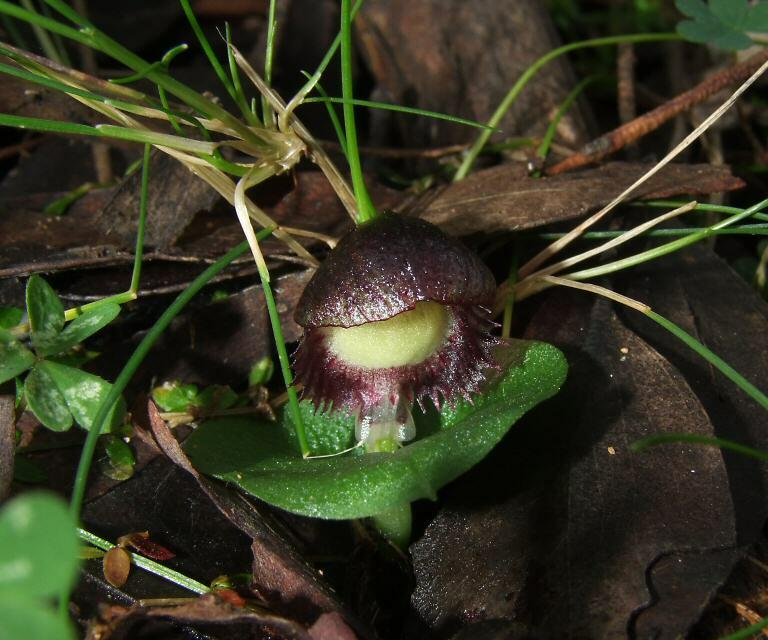 Clambered around the forest near Mt Dandenong looking for a colony of Helmet-orchids I had seen emerging a couple of weeks prior. Despite taking two GPS points of the colony at the time I still struggled to find them again. When I did I was just in time to see the first flower fully open and several more flowers only days away. 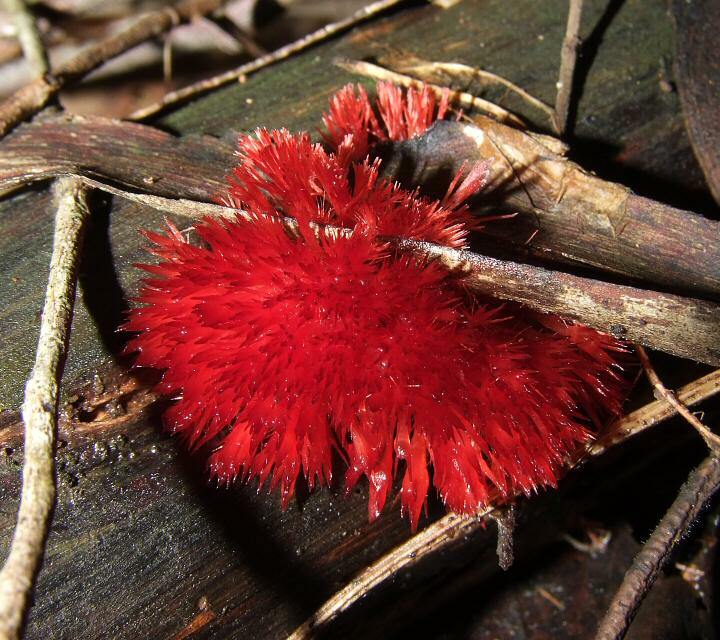 I also found an unusual red, brush-like fungus. I have seen similar small and flat frush-like fungus but never such a comparatively large fruiting body. Nothing like it exists in my fungus books so I've no chance of identifying it. EDIT: After some searching it turns out the fungus is probably the aerial rhizomorph (comparable to fungus roots) of a red Mycena.